If included as an add-on to Human Development, the course levels up from average high school to college prep or even higher (according to the activities chosen). This make Human Development an even more powerful “sparkle” credit. Early Childhood Education prepares a teen to understand preschoolers along with their developmental and educational needs. This light-hearted, no-busywork text gives an introduction to teaching young children, whether in a group setting or at home with the family. Whether or not a homeschooling high schooler wishes to seriously pursue a career in Early Childhood Education, it adds richness to their exploration process. Teens need to have many types of experiences in homeschool career exploration in order to truly know themselves and be ready to know God’s plans. Very early exposure to the Gospel and Christ’s love is important for children. With more and more preschoolers in Early Childhood Education placements these days, this mission field is becoming more and more vital. There is a great need for missionaries to our youngest children! 5) Early Childhood Education as homeschool career exploration credit is FUN! It is just good fun to discover and invent delightful activities that inspire and excite preschoolers. Early Childhood Education is a no-busywork, fun, but seriously instructional part of a solid homeschool career exploration credit. Your homeschool career exploration credit will sparkle when it includes Early Childhood Education training. 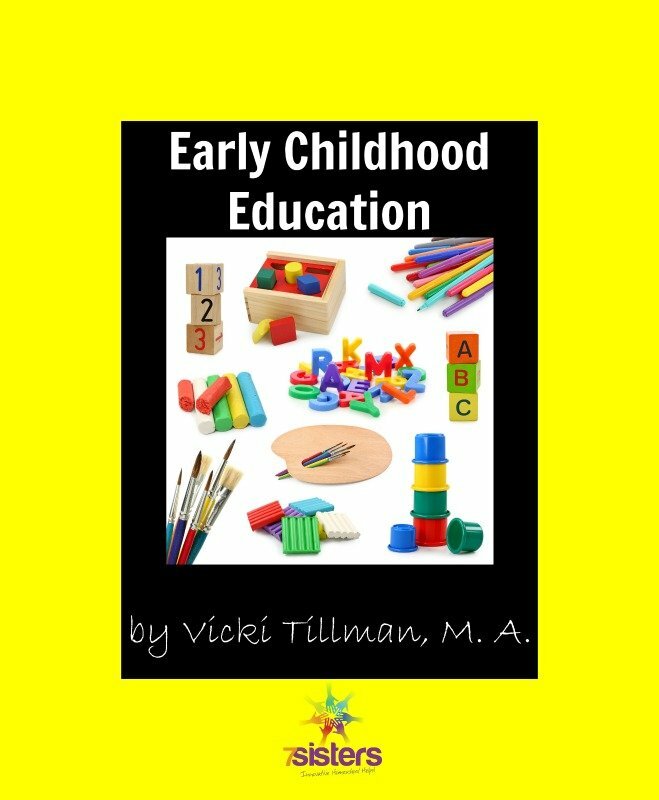 Click here to view an excerpt for Early Childhood Education.